"The room was stunned into silence from this great performance from two Charismatic Artistes"
What better way to give guests the musical surprise of their lives than to book our singing waiters? These highly accomplished singers will blend in with the assembled company before revealing their true identities in a range of comic altercations that will keep everyone entertained. When they finally do burst into song, guests will be enthralled – because while they can carry a plate or two they are even better at carrying a song! This act can be adapted to suit your budget and your venue and is ideal corporate event entertainment. From £900 for 2 singers. 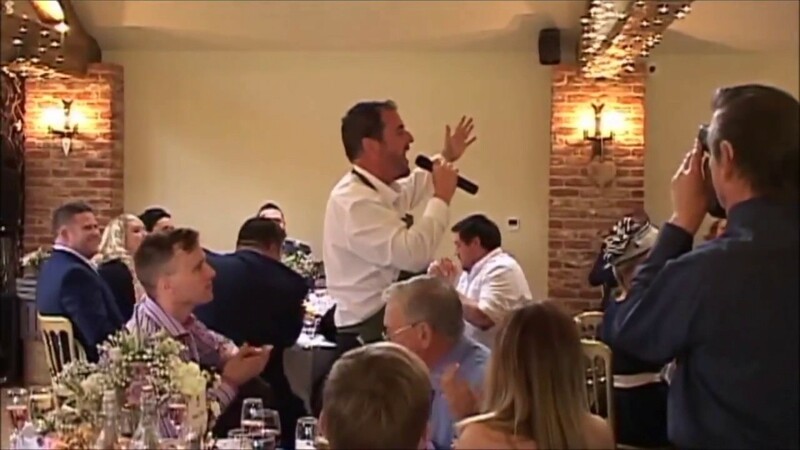 Very Very Well Received/Standing Ovation – The Singing Waiters were a great addition to the break and the guests were genuinely surprised and loved what the did. We would definitely have them back. So thank you so much and will definitely be back to you if anyone requires them again. I just wanted to say how delighted we were yesterday, everybody thought they were marvellous and our event was very successful overall. They are really easy to liaise with and were very patient with my queries beforehand etc. You were right, we were ‘blown away’ by the quality of their performances, both as individuals and as a group. They also arrived in good time and were flexible in fitting in with our general preparations and requests. This was greatly appreciated. We had the pleasure of listening to the amazing vocal talents at our Star Ball at the Hilton Hotel Manchester. The room was stunned into silence from this great performance from two Charismatic Artistes. Wonderful, captivating, incredible are just some of my chosen words to describe this performance.